I’m so excited to be back in the groove of things and creating all new videos for you. 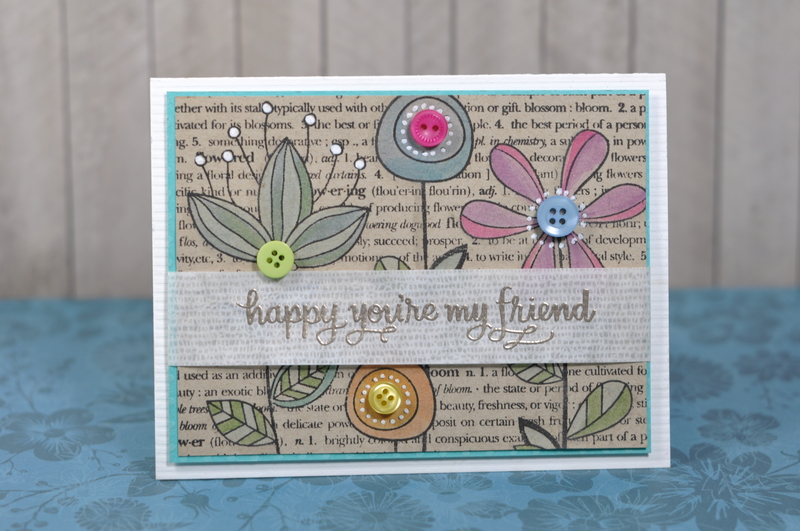 Here’s a card I made this week featuring a Hero Arts background stamp & some button embellishments to brighten up an otherwise muted tone for a card. I am in LOVE with this embossing powder from ranger – look at that platinum finish on the sentiment!